Specialist Morocco are experts in tailor-made and small group holidays for discerning travellers to one of Africa’s most diverse destinations. Whether you wish to trek in the Atlas Mountains or unwind in a luxury Marrakech riad, Specialist Morocco will be able to offer you a unique holiday experience. When it came to creating a distinctive branding for the company the marketing team at Specialist Morocco approached Wylie Design to put forward a proposal for a new visual identity and product brochure. The new identity is now being rolled out across the company’s stationery and marketing collateral. 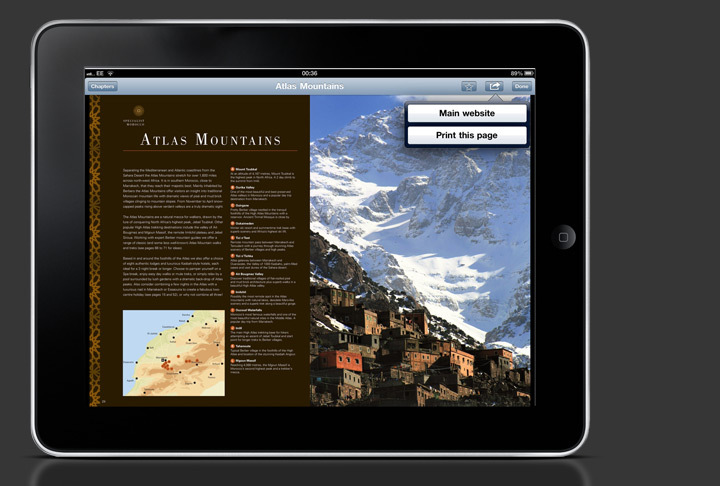 The flagship Specialist Morocco brochure is available in print, online and in an iPad edition and has already had a positive impact on sales enquiries and bookings. 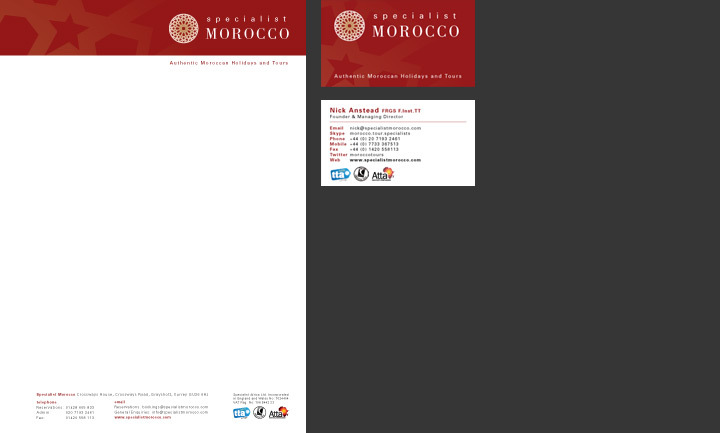 A redesign of the Specialist Morocco website is also in progress.